Hundreds of Cherry Hill residents joined together with dozens of police officers at Tuesday night’s community event. 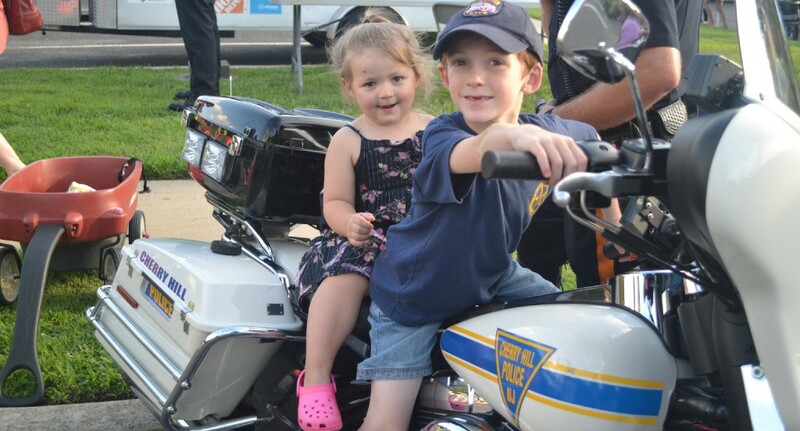 Kids got the chance to hop on a police motorcycle at Cherry Hill’s National Night Out on Tuesday. Cherry Hill police officer Ed Steinach doesn’t normally get to meet many of the residents he serves every shift. So when Steinach found out the police department would have a big event for National Night Out this year, he wanted to get involved, even if it meant sitting in a dunk tank. “It was colder than I thought it would be,” Steinach laughed. Steinach and dozens of other Cherry Hill police officers came together with hundreds of Cherry Hill residents on Tuesday night for National Night Out at the Cherry Hill Municipal Complex. For two hours on Tuesday evening, community members got to interact with police officers, see some of the department’s equipment and vehicles and enjoy numerous fun activities for all ages. The event’s lasting impact for both residents and police officers was the bond built between the community and the police department. Lt. Jim Staepel from the Cherry Hill Police Department said the officers rarely have time to meet with residents and have a discussion during their shifts. At National Night Out, Staepel said he got a chance to speak to a number of residents he had never met before. Visitors to Cherry Hill Township’s National Night Out got to learn more about the Cherry Hill Police Department. 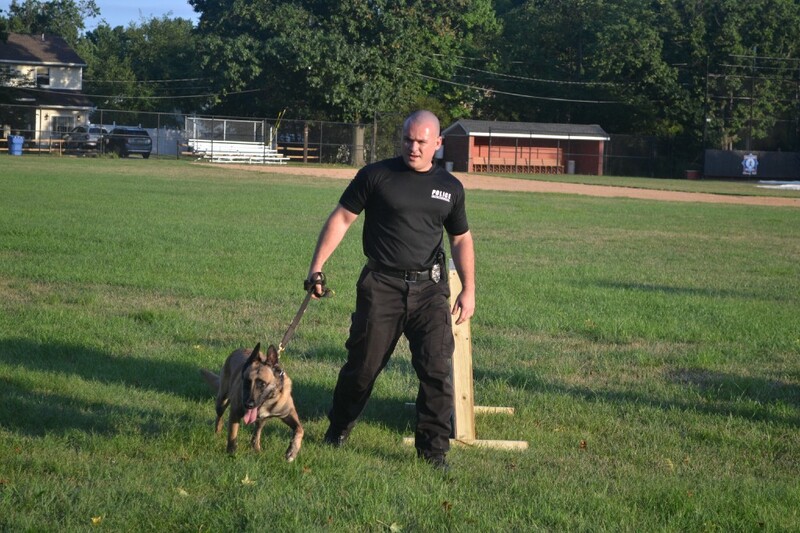 One of the activities on Tuesday night was a demonstration by the Cherry Hill Police Department’s K-9 Unit. Residents Tom and Nicole Campbell were thrilled to see the number of activities available to both kids and adults at National Night Out. Some of the activities for kids included a dunk tank, touch a vehicle and numerous carnival games. 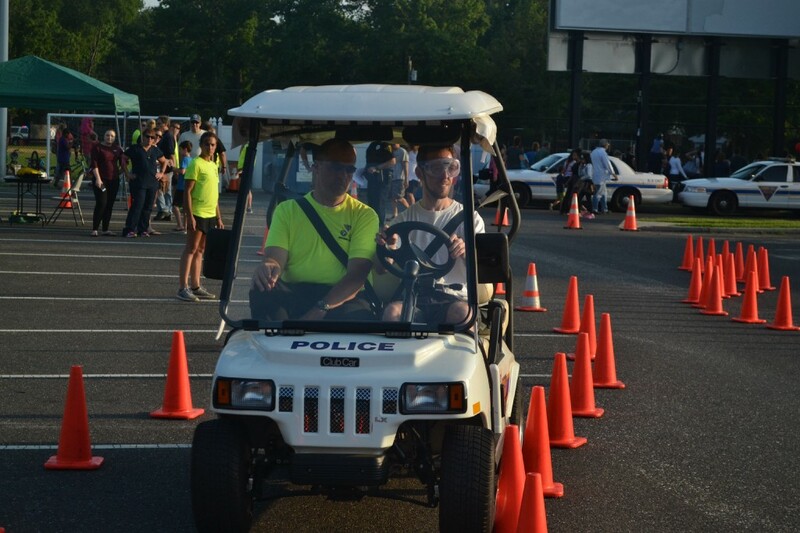 Adults had a chance to drive on the police department’s impaired driving simulation course or watch the police department’s K-9 unit in action during a demonstration. A fun activity for the adults was the police department’s impaired driver simulation course. The residents in attendance on Tuesday night had a lot of complimentary things to say about the police department as a whole. Nicole said she’s had nothing but good interactions with officers in the past, so she didn’t hesitate when she found out about National Night Out on Facebook. Resident Wayne Ginzberg echoed those compliments, saying the police have always been responsive whenever he has had an issue. In July, the police department received an overwhelming amount of well wishes and gifts from the community after a series of police officer shootings took place in other parts of the country. National Night Out was another example of the community bonding with the police department. This time, however, the circumstances were much more positive.